Just because there’s so much news and information coming out about what is probably going to go down as one of the world’s worst meteor disasters in terms of human toll, I thought I’d get right out in front with a quick round-up of news and resources. PopSci.com has lots more videos, which they’re updating as they go. When was the last comparable meteorite strike? In 2008, astronomers spotted a meteor heading toward Earth about 20 hours before it entered the atmosphere. It exploded over the vast African nation of Sudan, causing no known injuries. The largest known meteorite strike in recent times was the “Tunguska event” that hit Russia in 1908. Even that strike, which was far bigger than the one that happened over Russia on Friday, didn’t injure anyone. Scientists believe that an even larger meteorite strike may have been responsible for the extinction of the dinosaurs about 66 million years ago. According to that theory, the impact would have thrown up vast amounts of dust that blanketed the sky for decades and altered the climate on Earth. They also detail that Tunguska Event, which happened in an area so remote, no one is even entirely sure that it was a meteor. Takeaway point 1: meteor events like #RussianMeteor are relatively common, but usually aren't over cities. IOW, no reason to panic. Takeaway point 2: However, we should take this as a warning that we need to do better about identifying and preparing for future meteors. What is even more important: fragments of 2012 DA14 could never enter the atmosphere as far north as latitude 55 N (Chelyabinsk). Fragments in orbits similar to that of the asteroid, have a theoretical radiant at declination -81 degrees, i.e. almost at the southern celestial pole. They hence approach earth from due south. This means that the northern hemisphere is out of reach of these fragments: the northern hemisphere represents (as seen from these approaching fragments) the “back side” of the earth. They can’t reach it: they would have to pass earth and then turn back in order to do so. Basically, the asteroid DA14 is coming at us from due south, so fragments of that asteroid, were they even potentially hitting the Earth, would hit the southern hemisphere. For me, the takeaway message from the Russian meteor—and asteroid 2012 DA14—is that we need to do better at looking for dangerous meteors and asteroids. Astronomers (both professional and amateur) have identified nearly all of the biggest near-Earth objects (NEOs): the ones that, in the unlikely event they impact Earth, could cause mass extinctions like the one that probably wiped out the dinosaurs. However, the smaller rocks—called either asteroids or meteoroids—are harder to spot and to track. Update 12:43: Sigh. Sloppy Reporting Watch issued for the New York Times. Not a single credible report backs up this tweeted claim. Not. One. All of the damage and injuries reported there have come from the sonic boom. The title of the article, “Debris and a Boom, Likely From a Meteor, Hit Siberia” is just crap. Of course, it is a meteor. And the debris backs up the idea that people got hurt by meteorites. “Russian experts believe the blast was caused by a 10-ton meteor known as a bolide..” Sloppy. A bolide is any meteor that explodes on contact with the Earth’s atmosphere. It isn’t a special type of meteor. Regarding asteroid DA14, soon to pass by Earth, ““What we witnessed today may have been the precursor of that asteroid,” said Mr. Dudorov in a telephone interview.” Call this “Citation Needed,” as every credible source says there’s no way these two events are related. Should never have been included. 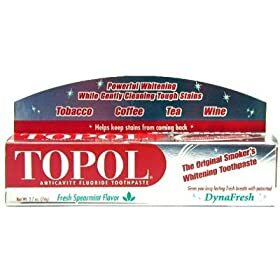 No, different Topol. . . But it definitely has the potential to remove the coffee stains from your teeth. And the teeth from your head. Just in case you thought that the whole Russia problem just went away, Russia just tested a new ICBM designed to evade detection by anti-ballistic missile systems. So, while the Bush Administration rattles an empty saber scabbard, Russia actually does things about it. Feel safe, yet? OK, so when the man who brokered the end of the Cold War also doesn’t trust us – when the man is willing to make public statements for the world to hear about our untrustworthiness – it’s kinda bad, isn’t it? President George W. Bush said on Monday he had agreed the United States would help modernize the Polish military as part of a U.S. plan to base components of a global missile defense shield in Poland. Just to bring you up to speed if you’ve not been paying attention, George Bush decided that the best place to have a Star Wars missile defense system was in Poland, Russia’s old turf. The Bush Administration has insisted that the defense shield is meant to protect us from rogue states such as North Korea. I’m no military expert – much less ballistics, physics or even higher geometry – but could someone please explain to me how a shield in Poland protects the United States from missiles launched from North Korea? As you might have expected, Russia is a bit put-out by the idea of their chief nuclear rival putting up a missile defense system in their back yard. It is unmistakably provocative. And while it’s true that Vladimir Putin probably needs to do a bit of sabre rattling to maintain his tough-guy image at home, I think we should all probably be standing up and taking notice when they threaten to bomb any missile shield parked in their neighborhood. But even more importantly, don’t miss the code wording in the above article: “Modernizing” Poland’s military is neat language for arming Poland with newer and more powerful weapons. Get that: arming Russia’s recently-liberated satellite nation – the one they’ve fought over with Germany since time out of mind – with new and more powerful weapons. What new and more powerful weapons? Well, golly, that’s a great question that the media aught perhaps to ask him, eh? The blueprint for the military is the “2006 National Military Strategy for Cyberspace Operations,” a classified document that includes both defensive and offensive measures, according to officials and analysts. Likely offensive tactics include disabling an enemy’s command-and-control networks, destroying data or dispatching false information to weapons networks, often as part of a larger attack with air power and other traditional weaponry. What new devilry will come of this is, for now, an open question. Certainly like all covert operations, the question will be answered when opportunities present themselves. And my sense is that, with Russian leader Vladimir Putin making dangerous moves and Condi Rice (an expert in Russian affairs under Bush the First) and the helm of the state department, a fair amount of the attention is aimed squarely at the activities of the Kremlin.